Starting orthodontic treatment early in your child’s life will ensure a healthy smile that looks and feels good for many years to come. Proper orthodontic treatment will improve your child’s personal appearance and boost self-confidence at a critical young age. Because our jaws grow at different rates, receiving an initial consultation at a young age will give you and your family plenty of information for creating an effective treatment plan with your orthodontist. • WHAT IS THE BEST TIME TO START THE ORTHODONTIC PROCESS FOR CHILDREN? • WHAT TO EXPECT AT FIRST PEDIATRIC ORTHODONTIC VISIT? • WHAT HAPPENS DURING THE PHASE I TREATMENT? • WHAT HAPPENS DURING THE PHASE II (COMPREHENSIVE) TREATMENT? WHAT IS THE BEST TIME TO START THE ORTHODONTIC PROCESS FOR CHILDREN? The American Association of Orthodontics (AAO) recommends that parents take their children for orthodontic treatment by the age of seven, before all of the permanent teeth come in. Because of the wide disparity in tooth development around the age of seven, an expert needs to determine if your child needs orthodontic treatment or if the changes are a normal part of developmental growth. An orthodontist will also be able to tell if enough room exists in your child’s mouth to accommodate the incoming permanent teeth. Most orthodontic conditions are easier to treat the earlier they are identified, when natural growth processes are at their peak. If some of these conditions are left untreated at a young age they may require surgery or permanent tooth extractions later in life. If you notice these behaviors in your child before the age of seven, we strongly recommend making an appointment with an orthodontist. 1. Proactive Treatment by a Pediatric Orthodontist: Visiting a pediatric orthodontist will ensure proper alignment in your child’s jaws by allowing the orthodontist to determine the best time to begin necessary treatment. The orthodontist will watch growth patterns as your child develops, allowing early detection and timely treatment if/when any issues arise. This process can be much more difficult after your child gets older and his or her jaws and teeth have finished growing. 2. Supporting the Emergence of Permanent Teeth: Children typically start developing permanent teeth by the age of seven, which means a pediatric orthodontist will be able to recommend the need for care and best treatment options to consider at an early age. 3. Catching and Reversing Bad Habits Early: Pediatric Orthodontics can help identify bad oral habits early and mitigate the negative effects they may have on your child’s teeth and mouth. Seeing an orthodontist before the age of seven can help prevent bad habits — such as thumb sucking — and improve the overall orthodontist experience. If untreated, these bad habits can increase the need for emergency orthodontic treatment or even surgery. 4. Less Invasive and More Cost Effective: The earlier you start orthodontic treatment, the less invasive and more cost effective it can be. While your child’s permanent teeth are still growing, an orthodontist can identify issues early enough to begin treatment before issues worsen. 5. Avoid Issues That Emerge From Permanent Teeth: Some issues are treated much more easily in children than in adults. It’s helpful for the orthodontist to evaluate how your permanent teeth are coming through the gums in order to determine if treatment is necessary. 6. Create a Financial Plan for the Future: Seeking pediatric orthodontics at a young age helps budget for the future. We strongly recommend asking questions in early appointments in order to get an accurate idea of what to expect. Treatment plans can include appliance at various stages. Seeing an orthodontist early will help create a plan that works with your finances. 7. More Favorable Long-Term Results: The earlier an orthodontist identifies issues and begins treatment, the better your results will be in the long-run. Visiting an orthodontist before the jaw finishes growing results in a faster, easier and better overall treatment plan. WHAT TO EXPECT AT FIRST PEDIATRIC ORTHODONTIC VISIT? 1. Explain Clearly the Need for the Appointment: It is very helpful for your child to understand why they are going to see an orthodontist. Explain to them that braces and Invisalign are used to straighten misaligned teeth, imbalanced jaw structures and improve their smile. Inform them that the earlier they go to the orthodontist, the less time treatment will most likely take. 2. Let Your Child Know That They are not Alone: Most children know a friend or family member who has gone to the orthodontist. Help your child understand that it is extremely common from kids their age to go to the orthodontist. 3. Share What to Expect at the First Orthodontist Appointment: Let your child know that the first appointment will consist of an oral examination, digital x-rays and photos, as well as a discussion of treatment options. Sometimes treatment can start that very same day, if needed. Explain that x-rays help the orthodontist see what’s going on underneath the gums, the location of any teeth that are still below the gum line, and the position and growth of bones and joints. 4. Meeting Your Orthodontist: Letting your child know that a visit to an orthodontist resembles a visit to a dentist can help calm their fears. Orthodontists achieve three additional years of schooling, making them specialists who diagnose, prevent and treat a variety of dental problems. An orthodontist can have a positive impact on your child’s health, appearance, development and comfort. Explain that orthodontists are experts in creating beautiful smiles. A palatal expander uses gentle pressure on the upper molars to widen the upper jaw. A quad helix uses four springs to widen the arch of your mouth in order to make room for crowded teeth. This device can also correct posterior crossbites. A limp bumper helps make room for lower teeth by moving molars back and creating space in the front. 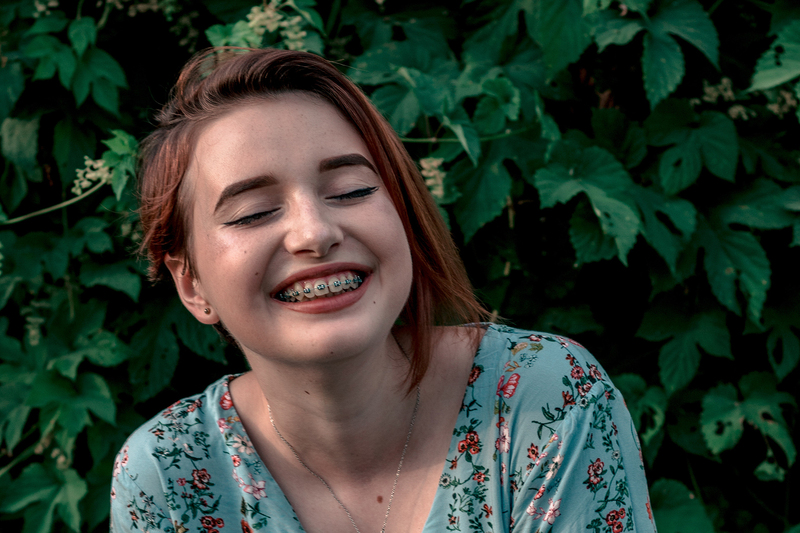 Traditional braces consist of two main components — brackets affixed to the teeth and a main archwire threaded through the brackets — and use constant, gentle pressure to move teeth into the proper alignment over time. Invisalign straightens teeth without wires and brackets, but instead with a series of clear, customized and removable aligners. Patients switch aligners every 1-2 weeks in order to gradually move teeth into the proper placement, while being able to easily remove aligners throughout treatment for eating, brushing and flossing. WHAT HAPPENS DURING THE PHASE I TREATMENT? Throughout the orthodontic industry, pediatric orthodontics also gets referred to as Phase I Treatment, which includes progressive treatments for patients ages seven to eleven —especially when jaw irregularities are present. During this growth period, orthodontic treatment can be more effective and less invasive. Early detection allows an orthodontist to create a perfectly timed, personalized treatment plan for your child. Gain proper width of the upper and lower jaws. Create room for crowded teeth to enter. Align the jaws to allow proper growth. Reduce the risk of trauma to protruding teeth. Hold space for permanent teeth that need to erupt. Reduce the need for tooth removal. Reduce treatment time with braces. Minimize the need for surgical treatment with certain growth patterns. In order to begin Phase I treatment, the orthodontist will take digital models, x-rays and photographs of your child’s teeth in order to determine the type of orthodontic appliance needed, the duration of treatment time needed, and the frequency of visits to the orthodontist. A successful Phase I treatment creates room for permanent teeth to find their path way in, so they are not severely displaced during the growth process. WHAT HAPPENS DURING THE PHASE II (COMPREHENSIVE) TREATMENT? A successful Phase I treatment of pediatric orthodontics creates room for permanent teeth to successfully enter, lessening the likelihood of impacted or severely displaced teeth during the eruption process. After this phase, we recommend staying in close contact with your children’s orthodontist and scheduling progress calls or appointments every six months. For the most part, though, we leave your child’s permanent teeth alone during this time as they continue to erupt through the gums. Phase II treatment primarily serves teens who have already received Phase I treatment, or who didn’t require Phase I treatment and have most of their permanent teeth. During Phase II treatment, we use Invisalign or retainers and braces to best position all the permanent teeth in order to maximize appearance and functionality. The following outlines each process we use for creating the best possible smile for your child for years to come. • BRACES: Braces consist of two main component: (1) brackets placed on the teeth and (2) a main archwire that connects them. Using constant, gentle pressure, braces move teeth into the proper position. After we affix brackets to each tooth, the wire threads through the brackets in order to move teeth into proper alignment. Rubber bands or elastics may also become part of the process — worn between the upper and lower teeth in order to help with bite correction. • INVISALIGN: Invisalign consists of a series of clear, removable and custom-made appliances called aligners. These aligners work to create a beautiful smile by shifting teeth in incremental steps until they reach the desired position. The process involves taking a digital scan and creating a 3D model of the teeth. We then develop a customized treatment plan based on the specific shape of your mouth. Using advanced technology, we create a series of aligners that are worn for 1-2 weeks at a time until achieving the best smile! • RETAINERS: After finishing either braces or Invisalign treatment, we create retainers for patients to wear throughout the day. Retainers hold teeth in their new positions while the bone, gums and muscles adapt. They ensure that the teeth remain stable and continue to stay in their new and improved locations. Do not keep them in your pocket. Follow the instructions from your orthodontist and wear them when you are advised. Clean your retainers using a toothbrush after all meals. Keep your retainers away from pets. Use your retainer case to keep them safe when you aren’t wearing them. At Gorman & Bunch Orthodontics, we work hard to find the best treatment plan for your child at the right age, and we strive to make your family’s visits to any of our offices as pleasant, informative and productive as possible —- ultimately giving your child a happier and healthier smile and boosted self-confidence. If you’re curious about learning more about pediatric orthodontics, or are ready to schedule an initial consultation for your child, please don’t hesitate to reach out. We look forward to hearing from you! 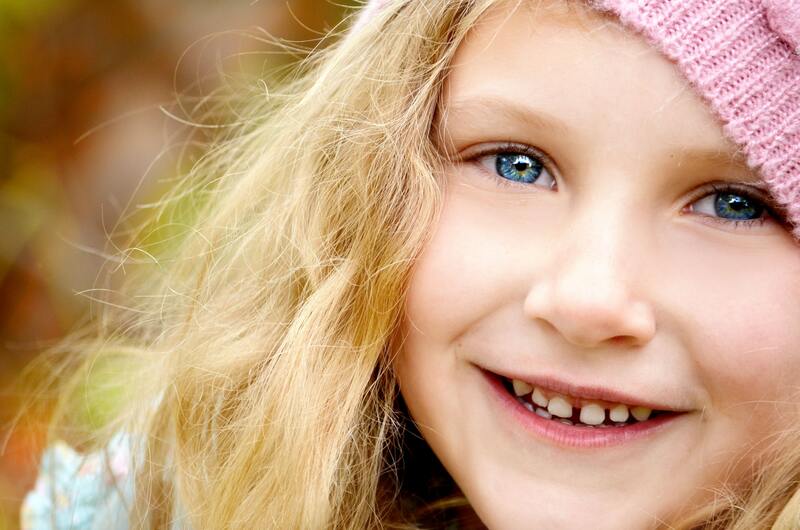 Want to Find Out More About Pediatric Orthodontics?